The browsing whitetail deer decoy stops poachers in their tracks with its natural movement. When the decoy is placed under a tree, the antlers create a realistic scene while they move the branches. Weighing in at only 22 pounds, it is extremely easy to transport and set up while being very durable. The antlers are removable. Deer decoys now come standard with an increased rotation servo motor, providing approximately 180 degree movement of the head. 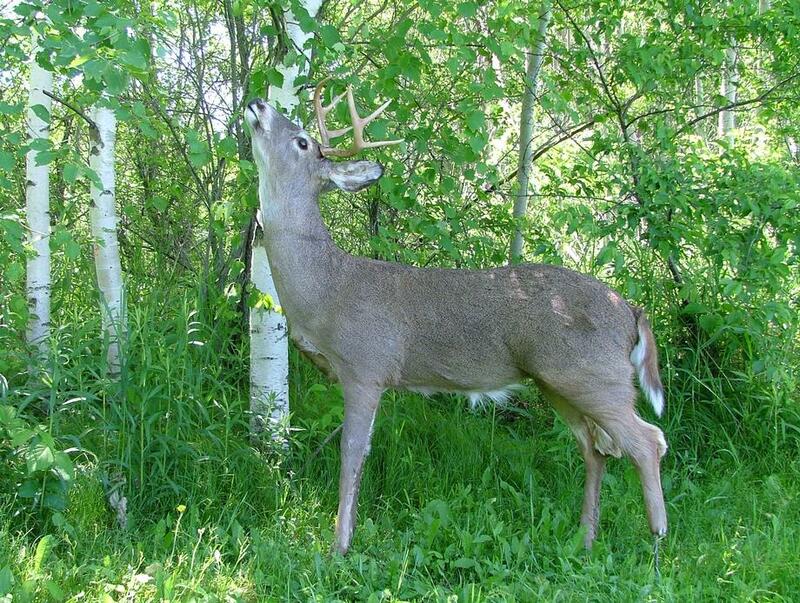 The regular whitetail deer decoy simulates a 140-150 pound looking deer.